When faced with the pressures of growing your startup, your ability to act quickly and correctly will depend on experience, skill and knowledge. Mentoring can make the difference between success and failure. 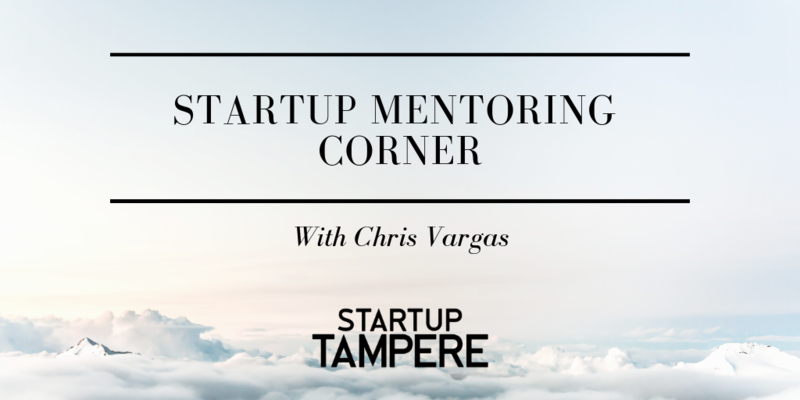 Our new concept Startup Mentoring Corner will provide you hands-on and personalized guidance from carefully selected experienced entrepreneurs, investors and mentors. Register to the open session with Chris Vargas and submit your investor pitch deck by November 26th. Startup Tampere team and Chris will select and contact the four selected startups by November 27th. Personalized guidance will result into funding support notification called as de minimis aid. Open session for everyone registered – limited seats!